Detainees at the immigration prison, Campsfield, are on hunger strike ‘indefinitely’, protesting the appalling situation in Britain’s expanding detention ‘estate’. Assault by guards, racist abuse, completely inadequate facilities, little or no access to legal process, and indefinite detention (up to 3 years in some cases) without trial or charge, are all common features of the ever-expanding network of immigration prisons and ‘holding centres’ in the UK. In February this year a 3-week hunger strike by women in Yarl’s Wood was met with brutal force and harsh reprisals. The next month an official report concluded that private security guards had been abusing detainees, as reported by the Independent. Below is a statement from those on hunger strike at Campsfield. 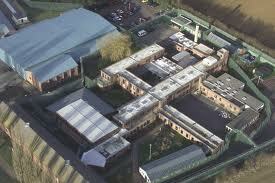 147 detainees are staging a protest by refusing meals at Campsfield immigration removal centre. The protest erupted as a result of the treatment of detainees in detention centres especially for people who have been detained for a long period of time. We continue to refuse meals indefinitely for our voices to be heard. Some of us detainees have been detained for over 3 years with no prospect of removal or any evidence of future release. There is no justification whatsoever for detaining us for such period of time. Our lives incidentally have been stalled without any hope of living a life, having a family or any future. More often than not, we are been detained even when our family (wife and children) are resident in the United Kingdom, depriving us of having a life with our family. We the detainees are also humans. In certain cases, some of us are tortured and even face death or mental distress. On 14 April 2010, a detainee of Kenya national Eliud Nyenze died at Oakington IRC due to negligence. Mr. Nyenze, age 40, had a heart attack, requested for painkillers, repeatedly and kept crawling around the floor in pain before he died. Detainees are currently undergoing mental stress with some of us developing mental problems on a monthly basis. We are issued removal directions without given enough time for an appeal. It has become a habit by the UK Border Agency to use force in enforcing removal of detainees who have a pending Judicial Review without giving appropriate time or consideration to our case and forcing our removal before our cases are concluded. In some situations, we are not given enough time to appeal against the decision which breaches our rights under Article 6 of the ECHR. Our liberty and security has been taking away. We as foreign nationals are often been criminalised for the purpose of detention and removal as the law under the European Convention of Human Rights permits the removal of foreigners who have established there lives in the United Kingdom and are a treat to national security. Foreign nationals are now been sent to prison for 12 months custodial sentence or more prompting the deportation of such individual. Removals are enforced on specially chartered flights with security personnel who abuse and torture detainees in the process. Detainees are restrained, strapped, beating and forced on the airplane. On 26 July 2010, one of the detainee at Campsfield attempted suicide due to the level of treatment received at the detention centre. The Amnesty International has also reported that our detention breaches the internationally recognised human rights. On a regular basis, we are tortured, restrained, strapped like animals and beating to effect removal. This cannot be lawful given that there is provision within the ECHR convention that prohibits torture both mentally and physically. We painfully ask that the government, the house of parliament, the house of common, the parliamentarians and all concerned to rise to our aid and address these issues that affects not only our lives and our future but the lives and future of the thousands of our families who are constantly under pain and torture.